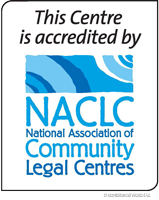 MABELS is a Health Justice Partnership between Eastern Community Legal Centre (ECLC), Boorndawan Willam Aboriginal Healing Service and two Victorian local government councils. The program, which began in early 2015, provides an opportunity for early intervention for women experiencing family violence. MABELS enables women to receive advice and assistance at a much earlier point in their experience of family violence than they may have otherwise. Typically, women’s first contact with family violence services, police, lawyers and courts occurs at a point of significant crisis. MABELS is able provide help to women before that crisis point is reached. The success of the program can be measured not only by the increased number of women gaining early access to legal and family violence services but also in the enhanced capacity of the partner services to identify and respond to family violence. In October 2016, the MABELS partnership was awarded winners of Victorian Early Years Awards in the Creating Collaborative Community partnerships category. The award recognises the work of MABELS in improving the safety and wellbeing of women and children by providing an integrated collaborative response to family violence onsite at multiple local health clinics. The statistics on violence against women in Australia are shocking. 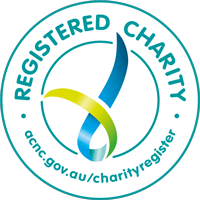 In addition, there is a growing body of knowledge about family violence experienced in pregnancy and early parenthood, and about children’s exposure to domestic and family violence. According to a recent study by the Murdoch Children’s Research Institute, one in five mothers experienced emotional and/or physical abuse by an intimate partner in the year after having a baby. This translates to 14,000 Victorian families a year affected by family violence in the course of a child’s first year of life. Furthermore, the study found that children whose mothers experienced family violence in the first 12 months postpartum were more likely to have emotional and/or behavioural difficulties at age four. A timely, targeted, and integrated legal and family violence specialist response is critical. MABELS provides a key opportunity to reduce the risk of family violence for women and children in our local communities. 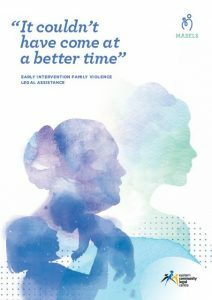 In September 2018, Eastern Community Legal Centre launched the “It couldn’t have come at a better time” Early Intervention Family Violence Legal Assistance Report. The report uses the experience, knowledge and skills developed through MABELS, especially the voices and experiences of women who have engaged with the program, to inform early intervention legal practice and guide system reform that supports this work. "It Couldn't Have Come at a Better Time" Report from Eastern CLC on Vimeo. The MABELS Partnership thanks the Victorian Legal Services Board + Commissioner through the Legal Services Board Grants Program for supporting the program from its inception, as well as additional funding contributions from the Phyllis Connor Memorial Trust, DHHS (Indigenous) Community Initiative Grant and partner councils.